The GT3 badge is synonymous with the most driver oriented of the Porsche 911 offerings. Following roots back to the iconic 1973 911 Carrera RS, the GT3 was first introduced on the 996 chassis. These first generation GT3 cars are lightweight driving machines with knife honed suspension, brakes, and a driving experience second to none. Unique to the 996 GT3 is the engine. Popularly known as a “Mezger” engine, after it’s designer Hans Mezger, this engine shares the general architecture with the racing Porsche 962 engine. Dry-sumped, with water cooled heads, this engine is a special piece and the heart of the GT3. Coupled to a close ratio 6 speed manual transmission, the GT3 also enjoys larger brakes, lowered suspension, front and rear aero package and light weight wheels to distinguish it from a standard 911. The car on offer here has a few tasteful (and all reversible) modifications to the interior. The seats have been upgraded to the European (RoW) spec Sport Seats. The original seats are included with the sale. There is a bolt in Porsche Tequipment rear roll bar and 5 point harnesses. While a track car by birth, this car has only seen three track days before the owner decided to track his 993 instead. 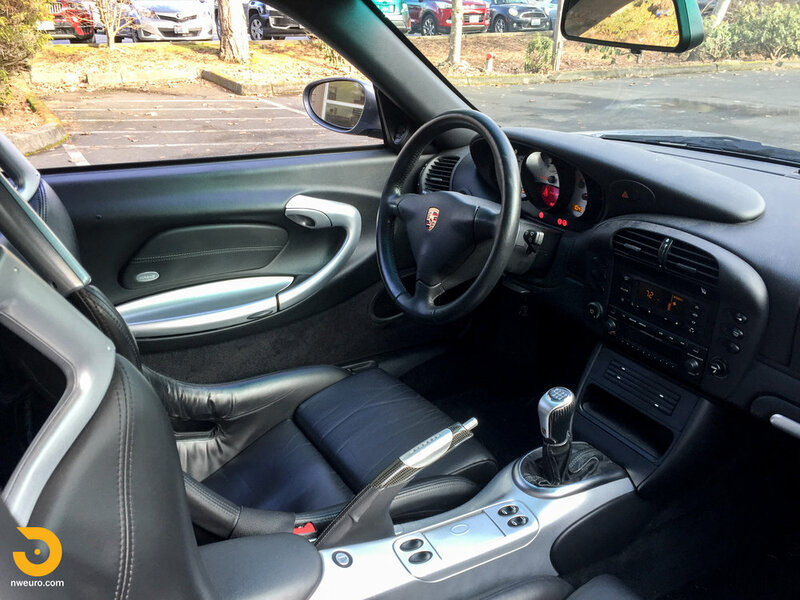 This one owner car was originally ordered with the desirable Porsche Ceramic Composite Brake option. This featured yellow 6 piston (front) and 4 piston (rear) calipers and provides incredible braking power. Currently showing 34,000 miles and benefitting from a recent service and brand new tires, this GT3 is ready for a new home. 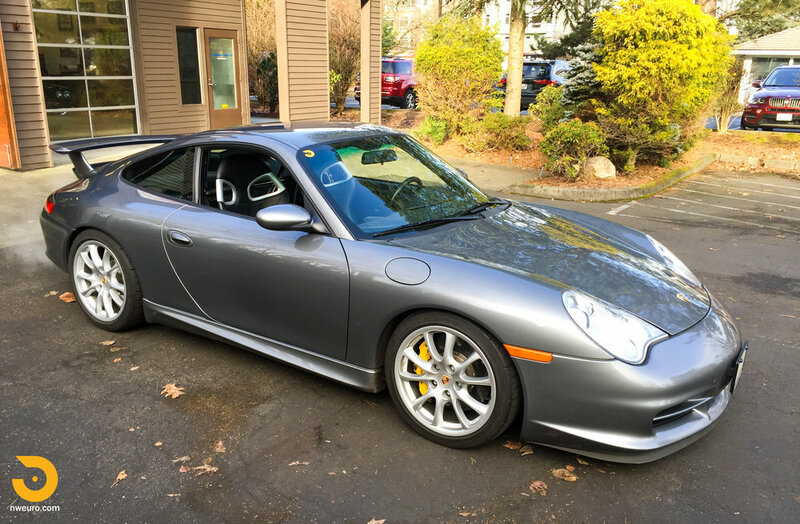 Offered with full service records, original books, manuals, and keys, this GT3 will not disappoint.